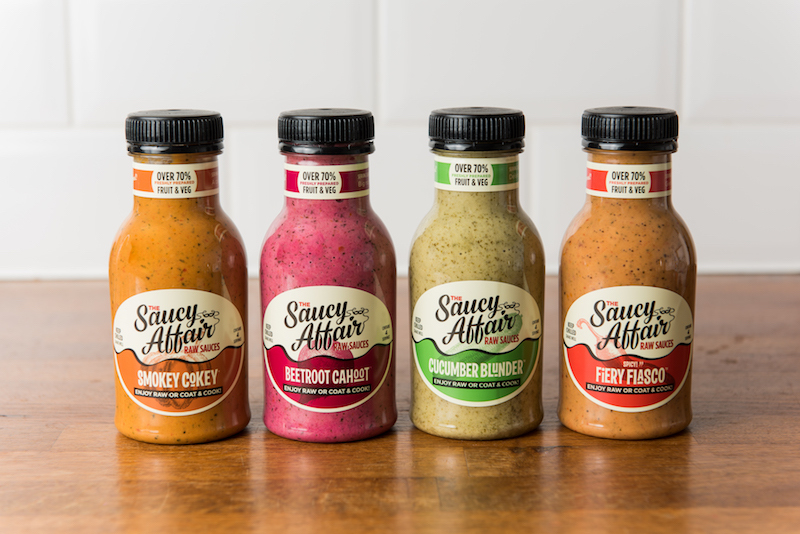 Find out what inspired mum Tanya Robertson-Lambert to launch The Saucy Affair Raw Sauce Company. As a child, when I was asked what do you want to DO when you grow up? My answer was simple ‘make a difference’! But if asked what do you want to BE, I had no idea. It’s taken me 20 years, dabbling in several degrees, brief stints in the media, police training at Hendon, a little time off the rails, a 10-year career in the energy industry (starting out as a receptionist leaving as a Board director) and a couple of children to find my calling. I loved my career in the energy industry and the people I worked with had become my family. I’d been there from the beginning, growing the business from three people to 120 – £0 to £40M turnover in a six-year period, recognised by the FT as the fastest growing green business 2011. We were saving our clients’ money, but more significantly we were saving the environment. So you’re going to have a baby, 100s of books written, yet none prepare you for the moment your own child comes into the this world. For me – a massive shift in perspective. We moved out of Central London, and our little boy was born a year later. I became a full-time mum for the best part of two years, during this time the business I had helped grow, saw a tragic down turn in profitability suffered painful internal politics as a result of poor management. I was invited back to assist with a restructure and rebuild of the business. I accepted on the basis of 3/4 days a week, I wanted to help, and believed I could. We moved back into London our Littles going into childcare, before long the part time became full-time, the job at hand required 110% time and effort. Over 15 gruelling months, seeing the business through redundancies, financial losses, incidents of gross misconduct, salary cuts, daily cash flow management, my final task – negotiating an acquisition. Three months following the acquisition, I realised that my sacrifices were to great. Endless hours doing a job I no longer enjoyed, and two little people who barely saw their Mama, and a woman who know longer knew herself. I handed in my notice, saying good bye to a super team, healthy salary, board position, and shareholding in the business I had grown and helped through its toughest time. The hardest decision I had ever made, but once made it was the only one. Despite my confused state, 2 things were crystal clear, I no longer wanted to work in the energy industry, and I wasn’t cut out to be a full time at home mum. Where did the idea for The Saucy Affair come from? 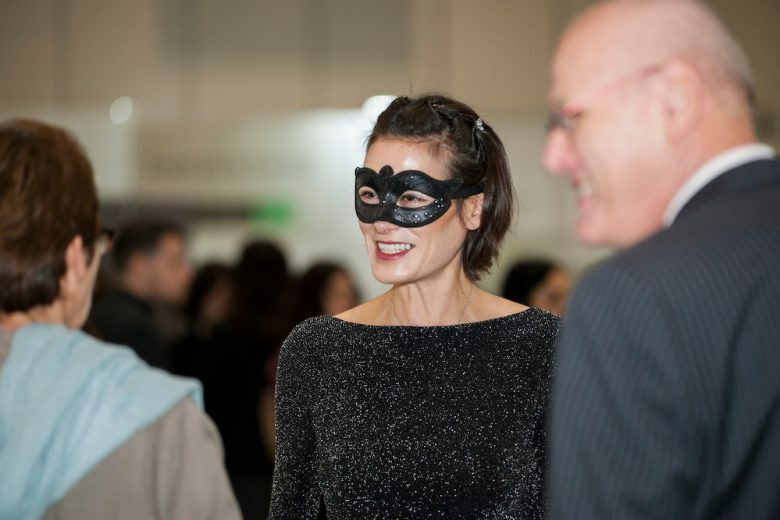 Once I’d escaped the stress of the “Commuter Mum” daily cycle, I was able to re-evaluate what I was truly passionate about – great food, cooking, the arts, poetry, but above all a healthy lifestyle for myself and my family. In February of 2016, I founded the Dressquerade Company, now known as The Saucy Affair – Raw Sauces, and I’ve been pouring my heart into it ever since. Personal note: As a working parent, it is easy to get lost in your two roles, the dress is ‘ME’ as an individual. Staying in touch with ‘ME’, makes me better at performing my roles. We introduce The UK’s first raw sauces. They consist primarily of fresh fruit, vegetables, and herbs. No added salt, no added sugar, gluten and lactose free, no nasty preservatives! I created my Saucy Affairs to encapsulate cooking from scratch in a bottle. An entirely new level of convenience, they can be enjoyed raw (dips or drizzles) or heated. Simply coat and cook for a chef rated meal in moments. Because the sauce is raw, it releases the aromas of home-cooking, no one needs to know you used a Saucy Affair if you recycle the evidence! Can a brand be a USP? – The Saucy Affair has been built on passion, engagement, community and beautiful relationships, every aspect of it is unique to our business, built on the foundations of a story and our mission to make a difference. These innovative raw sauces are perfect for taking pressure away from working parents or individuals who value great taste, being healthy, and home cooking, but lack time – less time preparing food means more time can be spent enjoying the people and things they love. As a brand we use social media usual suspects Twitter, Facebook and Instagram, but personally I post on LinkedIn, sharing my saucy moments as a mumpreneur. We participate in food events around the country, including Pub in the Park, BBC Good Food Show, Food Matters Live and The Allergy Show. As we launched earlier in the year with Sainsburys, I visited each of the 110 stores we were in around the country, meeting the staff and managers at each store, chatting to them about the sauces, how they used and giving them freebies to taste themselves. I’d say that using LinkedIn has been my most valuable strategy. I have built strong partnerships and a community of fellow entrepreneurs, chefs, FMCG professionals, sharing my story, my personal saucy day to day posts about the struggles and successes as a mother and an entrepreneur. Personally, my posts are as raw as my Saucy Affairs, and the engagement and support has been inspirational! Nothing could have prepared me for what I had bitten into. Food safety standards, shelf life, trademarks, product development, accreditation, packaging, labelling, branding, IP, manufacturing, supply chain management, commercialisation. I can say I’ve just about managed to chew and digest these, despite being told by technical experts what I was trying to achieve was impossible. Oh and delivering a successful Crowdfunder campaign single-handedly. Witnessing families and children enjoy the Sauce – fills me with glee! Randomly meeting folks who pledged on the Saucy Revolution Crowdfunder campaign. The wonderful things they say leaves me speechless, it’s changed their eating habits, how their children don’t like vegetables but love the sauces. Once I’d escaped the stress of the “Commuter Mum” daily cycle, I was able to re-evaluate what I was truly passionate about; great food, cooking, the arts, poetry, but above all a healthy lifestyle for myself and my family. I was determined to unite these passions in a way that would somehow make a difference, helping the many other parents and career-driven individuals who face the same pressures that I did. The Saucy Affairs inspire me, consumers and other industry professionals who’ve purchased and tried the sauces make what I do the best thing I’ve ever done, I simply love what I’ve created, and it drives me. My family, network, parents who face the same pressures I do, chefs, people who suffer allergies, and individuals like myself who have suffer mental illness related to food and addiction. My sauces are free from. I don’t suffer from allergies, I’m not coeliac. My symptoms aren’t physical they are emotional and psychological – a love hate relationship with food. We must have a relationship with food, without it we’ll die. For some individuals, a basic ingredient could kill them, whilst others are free to use it as comfort, the tub of ice cream after a break up, the big fry up following a big night, the snacking to deal with stress. Unlike other drugs we can’t abstain, we live with it, monitoring our mood to avoid acting out. My illness, my phantom, my mask, my reminder. I created my sauce to help individuals with busy lives save time in the kitchen, but also for others who have a complex relationship with food and need a clean label solution. To anyone who faces this battle, share, talk to someone. Ask anyone, work-life balance is not my forte! When I started my business, I said I would keep my family under the radar, but after the first year, I brought them to the forefront because my business is not just mine it is ours, it allows me to spend more time with them. 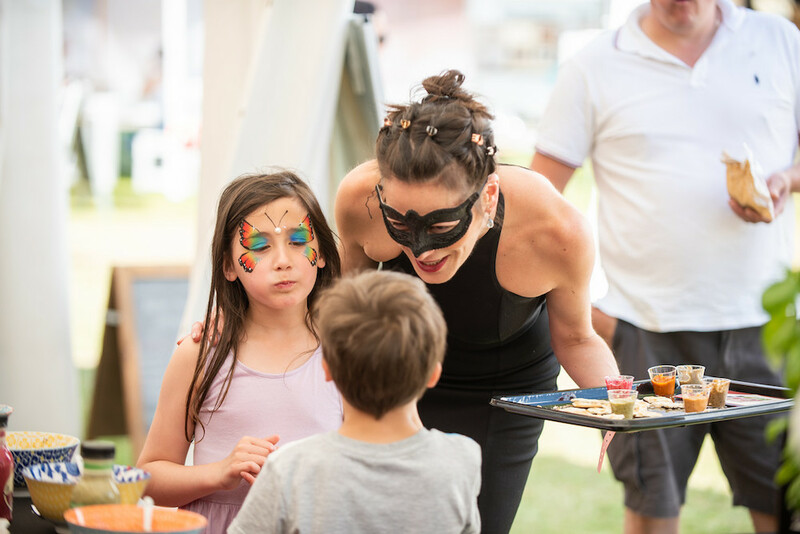 I am blessed that I am able to bring my little one’s and family into my working day – from tasting, to sticking on stickers, competition draws, to dressing up and giving out Sauce! Be prepared for nine days in 10 to challenge you, fall asleep at night with a moment in the day that had silver lining… When that one in 10 day happens compartmentalise it in your feel-good stash! If you feel like you’re losing, fake it to make it, until you start winning! You can find out more about The Saucy Affair on their website.